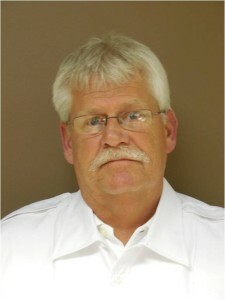 Tom Nahrwold began his EMS career in 1976, arriving at Three Rivers Ambulance Authority (TRAA) in Fort Wayne, Indiana during December of 1987. He became a paramedic while working in an adjacent service, Huntington County Emergency Medical Services. Tom has encouraged, mentored and inspired more than 300 EMT and paramedic students and countless coworkers throughout his career; all-the-while remaining humble and never looking for self-gratification. Tom always displays a positive attitude and executes excellence in customer service. Tom leads by example and is attentive to patient needs, as well as those of his coworkers, and is always offering an encouraging word or lending a helping hand. Tom has displayed acts of caring, commitment and dedication throughout his career, and he lives to work versus working to live. Tom continues to be an able servant of sorts in his profession. Most of all, Tom has achieved senior status. Through years of education and practical experience, he has developed the knowledge to perform his duties and become an expert in his field of work, and thus has gained the wisdom that so many others in EMS do not or will not achieve. As an able and experienced medic, Tom certainly fits the bill. He is a master clinician and motivator within the emergency medical services field. During his tenure with TRAA, Tom has worked in several capacities, including a field training officer, assistant supervisor, and educator. Tom possesses a natural ability to remain calm in difficult situations. He communicates with a reassuring voice while simultaneously providing compassion both when issuing directives to first responders, and also when speaking to his patients and their families. Tom Nahrwold was the indisputable choice for this honor as he represents what it is to be a Star of Life.